1-Narrating your deliverables and then asking for feedback as if your stakeholder is grading your homework sets up a disorganized critique wherein your stakeholders look for errors. This approach invites spin and reduces confidence. 2-Using the presentation as an opportunity to gather richer input from your stakeholders and work closer to the goal together through collaboration. This sets you on a path of productive progress. 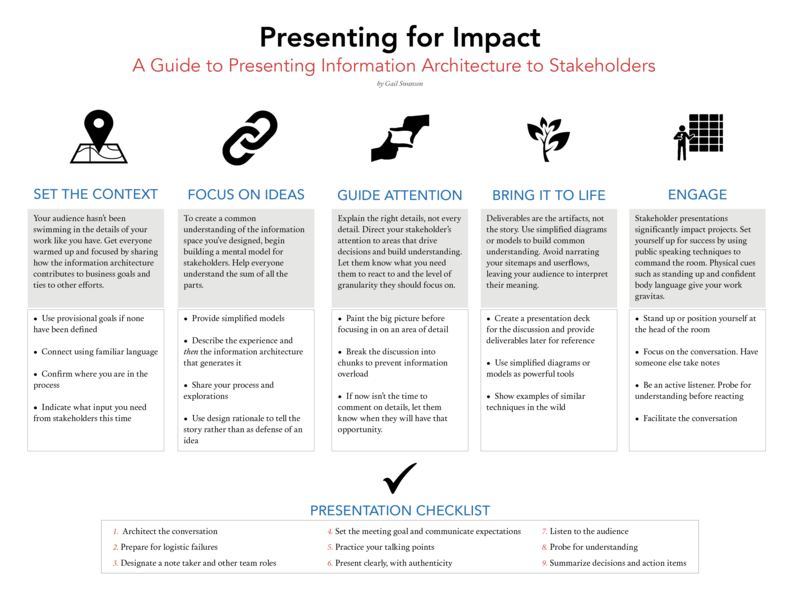 I made the following poster for IA Summit 2015 as a guide to IAs and Designers to conduct productive presentations for our complex, abstract work.